Watch full Naruto Shippuden Season 17 Episode 2 English Dubbed full HD online. Naruto Shippuden Episode 363 English Dubbed online for free in HD. Following the Ten-Tails’ arrival, Obito and Madara quickly attach themselves to it and launch an attack against Naruto and the others. However Kurama quickly takes charge of the situation and uses a strategy with Kakashi to deliver Gyuki close enough to the Ten-Tails to launch a Tailed Beast Ball at point blank range. However the Ten-Tails proves to be much to powerful for the pair of Tailed Beasts, forcing them to retreat into their hosts and leaving Naruto, Kakashi and Guy at the mercy of its own Tailed Beast Ball. However the Allied Shinobi Forces make a grand appearance, with Ino and Hinata able to deflect the attack. With their arrival, Naruto boldly proclaims to Madara that their “Allied Shinobi Forces Jutsu” is more powerful than the Infinite Tsukuyomi, also prompting Obito to join the argument. Meanwhile, Shikaku uses the opportunity to develop a strategy involving the Shinobi Forces which he eventually relays with the help of Inochi and they are able to immobilize the Ten-Tails inside a pit of concrete. 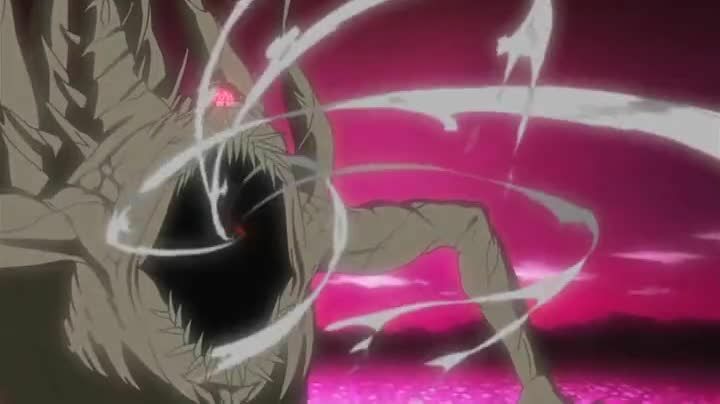 Finally as the Shinobi Alliance charges at Madara and Obito, the Ten-Tails begins undergoing a metamorphosis.